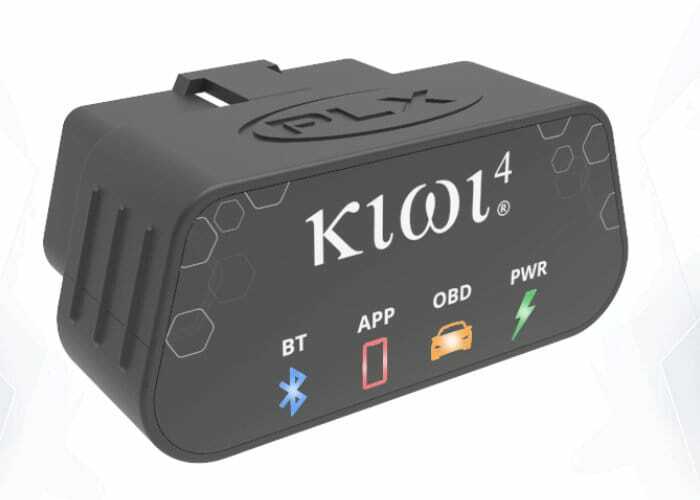 PLX Devices has once again taken to Kickstarter to raise the required funds it needs to take their Kiwi 4 OBD in car connectivity kit to market. The Kiwi 4 has been specifically designed to allow you to connect your smartphone directly to your car and the fourth generation device includes a next-generation vehicle connection interface offering real-time gauges, diagnostics, performance, data logging, trip computer, and more. Check out the demonstration video below to learn more about the power of the latest vehicle OBD by PLX Devices. Kiwi 4 offers a plug and play automotive tool that connects to the onboard diagnostic port (OBDII / CAN) and retrieves information from your car’s computer which it then transmits wirelessly directly to your smartphone and the Kiwi companion smartphone application. In the latest generation device its creators PLX Devices have included for new innovations in the form of a new self run mode, audible alerts and warnings, high-performance accelerometer and a handy microSD card slot for logging and downloading data when required. The Kiwi 4 OBD is now available to back with early bird pledges available from $89 or £64 with worldwide shipping expected to take place during November 2018. For full specifications and vehicle compatibility jump over to the official Kickstarter crowdfunding campaign page by following the link below.